Now …. 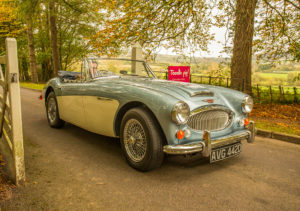 if you want quintessentially english then step right up as this is exactly what you need!! 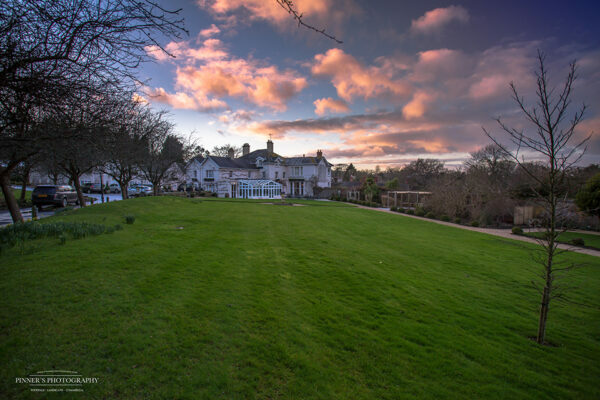 The Deer Park Country Hotel is a dog friendly stately hotel set in the heart of Devon with nothing but beautiful countryside for miles in every direction. So we were invited up about a year ago, and its taken me this long to get there as i have had a hectic schedule. Heres my Confession …. i should’ve gone up a year ago! i have no idea how i managed to avoid such a place for a year. Its now my little slice of heaven. No word of a lie. Its pure bliss. We did leave at a good time in all fairness so that we would arrive around lunch (a.k.a. one of my favourite times of day) and much to our surprise we were greeted by one of the owners of the hotel who personally showed us the grounds. 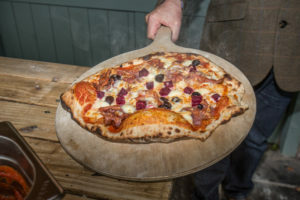 On our grand tour we happened to stop by the outdoor eatery where we were made a gorgeous fresh pizza in an outdoor pizza oven, one of the highlights in my book! 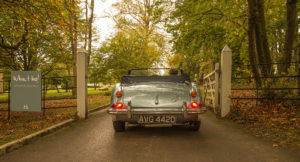 After our tour was over we were taken on a fab vintage car ride through the Devon scenic trails lined with the amber trees of autumn. 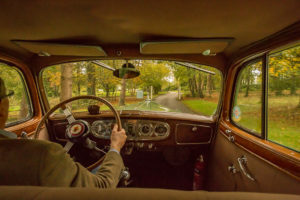 Vintage car trips can be arranged through the hotel which is a ‘spiffing’ afternoon. 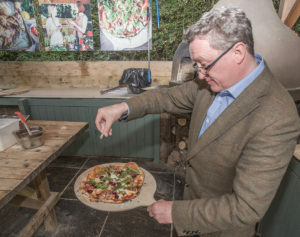 Now another food moment ….. DINNER!!! The best part!!! It was amazing!!! Theres not a lot more i can say except, you’re in for a treat my friends. In all Seriousness this is probably the best meal i have ever eaten, even my other half said it was the best meal by far. You would do well to book a table here as i have NO disappointments. 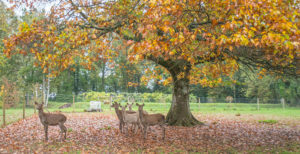 After a lovely nights sleep, helped by some equally lovely wine from the previous night, breakfast was well in tow followed by a walk down the the deer pen. Luckily for us we got to have a hands on experience and help with their morning breakfast meal, we all became fast friends and started following us around … everywhere. 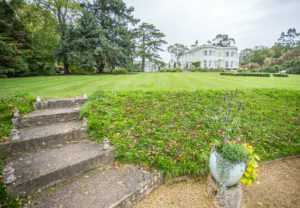 Unfortunately for us we only had time for one night within The Deer Park Country Hotel but we have already started planning for our second trip in just a few weeks.